Our best selling coaster! 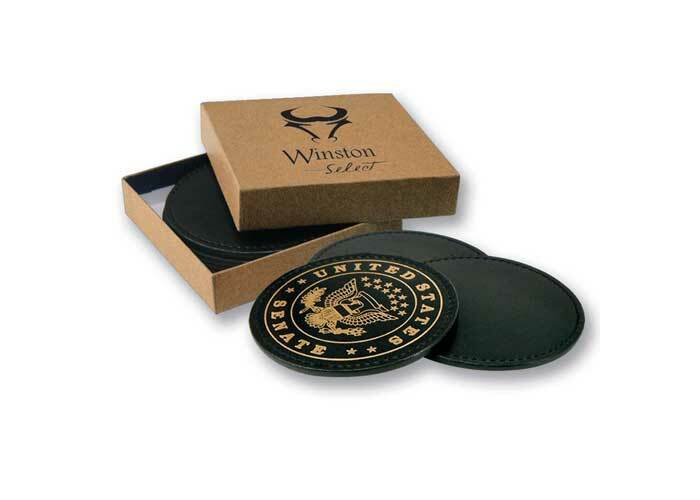 Big 4” Italian Bonded Leather coaster, water resistant, finished edge, hand stitched perimeter, luxurious pigskin backing. We think this is the best coaster available. Get your corporate message across with style and functionality. Gift box holding set of four $1.50(G), or individual polybag $0.20(G) available.